Have you ever filled your teapot up more than halfway in your life? Oh, you have? Well, not all of us are constantly having wild parties with dozens of friends for whom to make tea. 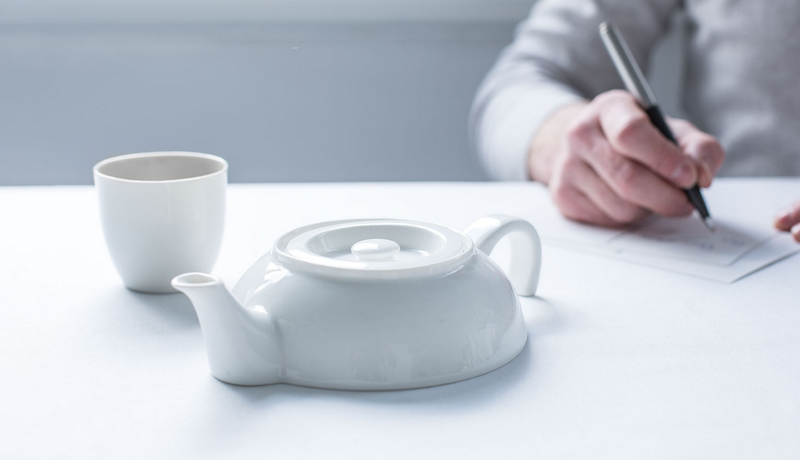 The rest of us are usually only making one or two cups—and that's who the design team at the Dutch studio Droog made this teapot for. It's called Tea for One (alternate name: Forever Alone Pot), and it got several layers of jokes attached to it: First of all, it's a play on the classic Utah teapot found in many 3D-modeling softwares. Second of all, it's part of a collection of objects that were designed for a gallery show about copy-cat design. The designers took a "classic Chinese design" and chopped off part of the body—it's just different enough, but still virtually a copy.